Consistency. Commitment. Attention to detail. Hallmarks of a tradition that dates back more than 70 years. 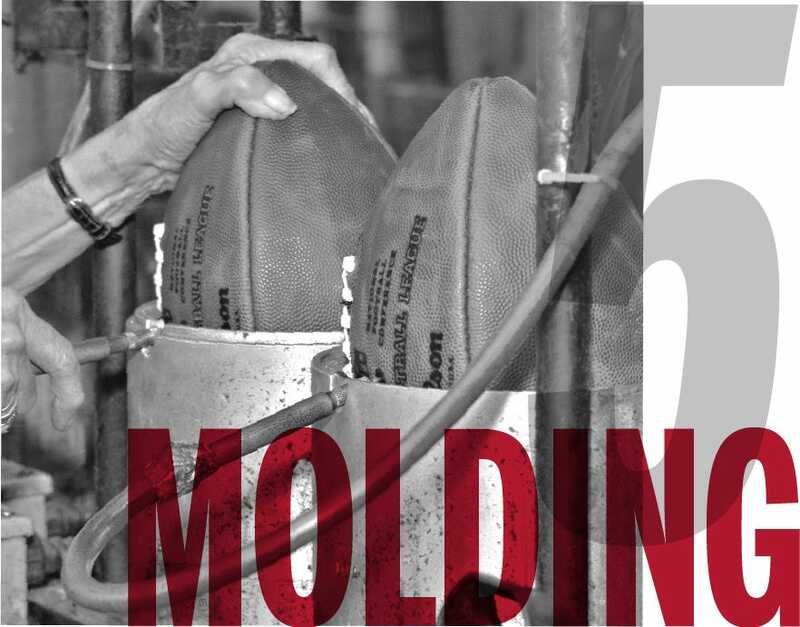 More than 700,000 footballs a year have been handmade in Ada, Ohio, by Wilson’s talented craftsmen and women since 1955. They've built footballs for Super Bowl champs, MVPs and Hall of Famers. But they put the same love and passion into every ball, each step along the way – making milestones for youth leagues, Friday night hometown heroes, college All-Americans and the NFL’s elite. See the play-by-play of how our game balls are made. Wilson’s DNA has been embedded into the sport throughout decades of game play. 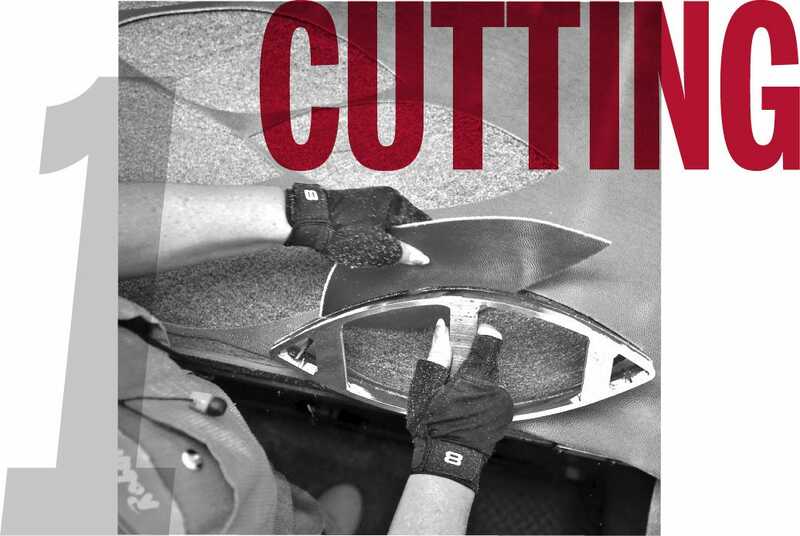 Individual panels are cut from leather hides treated at the Horween factory in Chicago, with tiny Ws stamped among the pebbles as proof of authenticity. Once the four panels of the ball are cut, a backing is applied and they're sewn together inside out. So the seams live within the ball not on the outside. Our experienced team operates vintage sewing machines to deliver consistency with every stitch. Newly sewn footballs are “turned” right-side-out with startling grace in one of the most physical jobs at the plant. A ball is first placed into a steam box to soften the leather, before being reversed with the use of a steel bar (and a bit of old-fashioned elbow grease). A bladder is inserted, and then the ball is laced up. 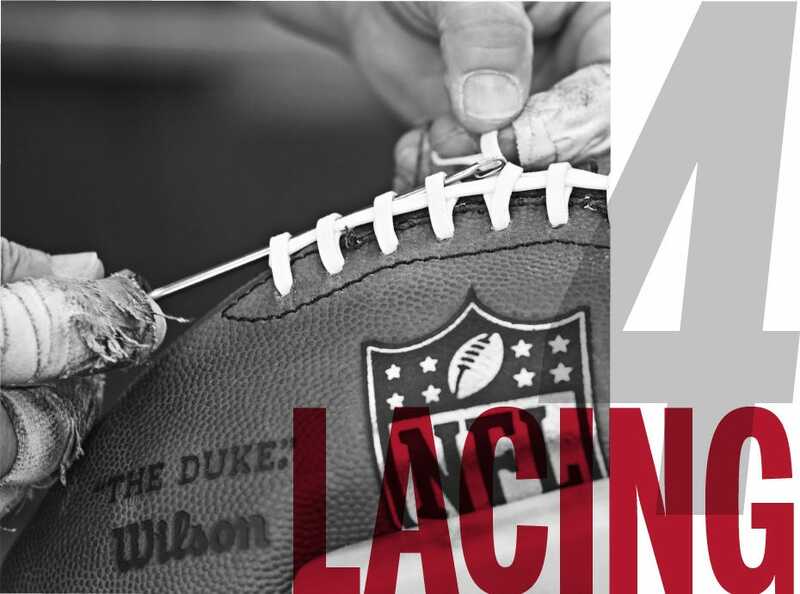 From ACL to latigo, Wilson offers several different types and colors of laces, but it’s the same hands that craft Super Bowl balls that also build every leather ball from our factory. Proudly made in the USA. Balls are molded to their final shape by inflating to 13 PSI and then put through an inspection process to ensure the same standards of quality that date back more than a century. Constantly improving without compromising, Wilson innovation has defined the future of the game. A company dedicated to sport. A town devoted to craft. 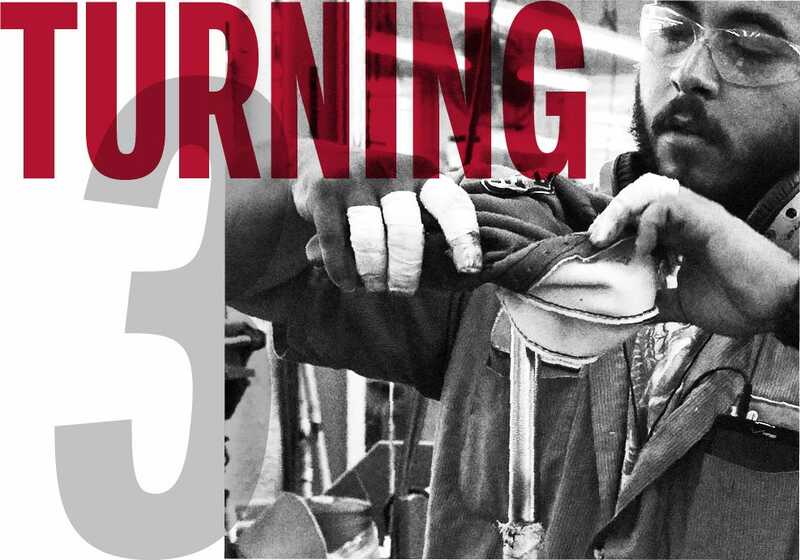 A factory distinguished by its legacy. 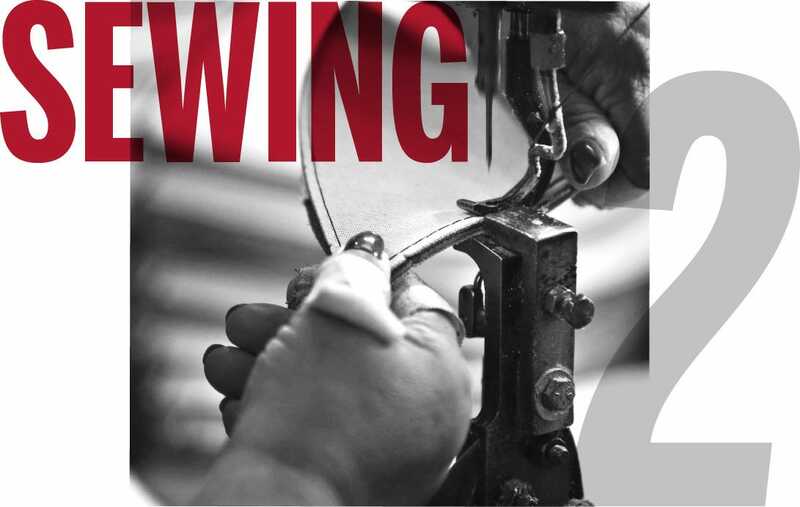 Since 1955, every leather Wilson football has been built by hand in Ada, Ohio, by our veteran team of skilled craftsmen and women.